'Earl' at her motherly duties! 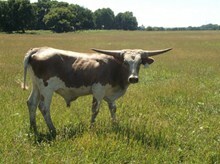 Wonderful calm big horned big framed cow. 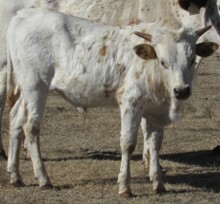 She stands out in the pasture regardless of who else is around! 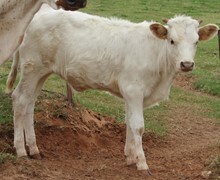 Raises a stout calf and passes good disposition.